glass seed beads so I could make a shaker card! Not just any shaker card, but a shaker window card. I wanted you to only see her sweet little face making her case to Santa about her gift-worthiness. Then you open the card to see the rest of the stamped image and I would stamp the rest of the sentiment on the inside. • Loads and Loads of Foam Tape – which I also buy from the $1 store. It’s super thin though, so I have to do 3 layers. 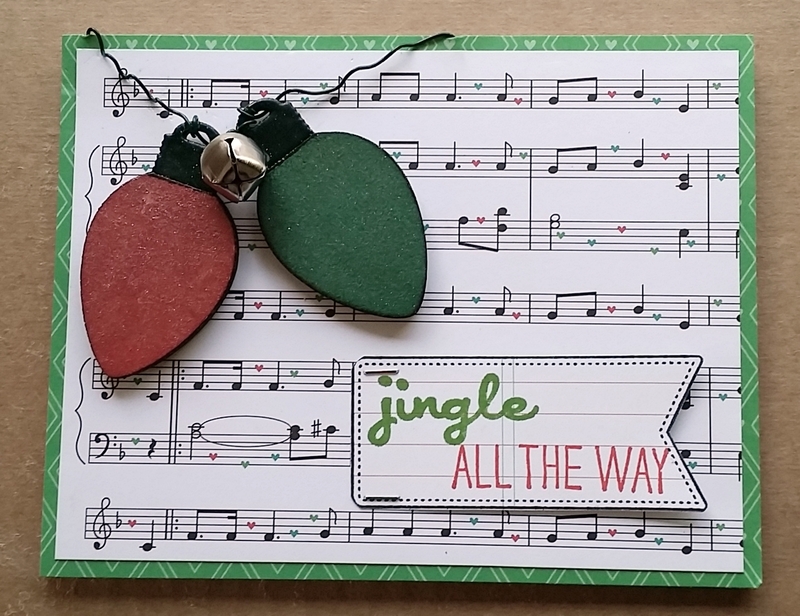 I also filmed this card and I will add the video to this blog post once I am done editing it. Thank you for stopping by! Do you ever come up with a card design that you are just so happy with that you have to make it again? 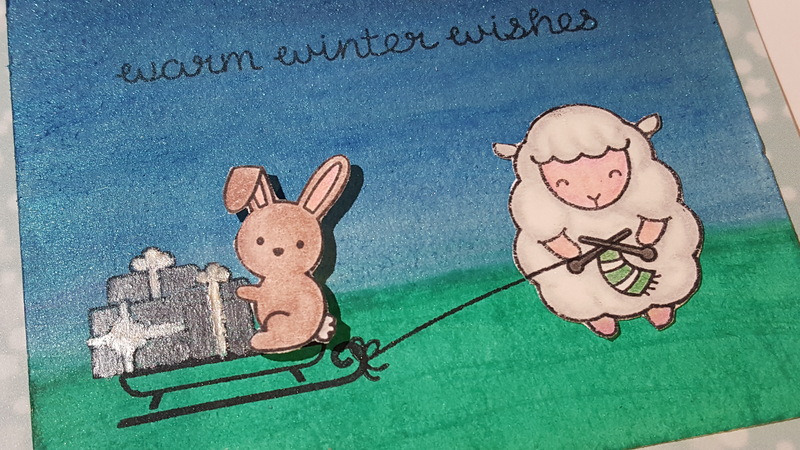 That’s a rare occasion for me, but I was so happy with this card design that I had to make it again. I will be adding a video of making this card when I have time to edit it. 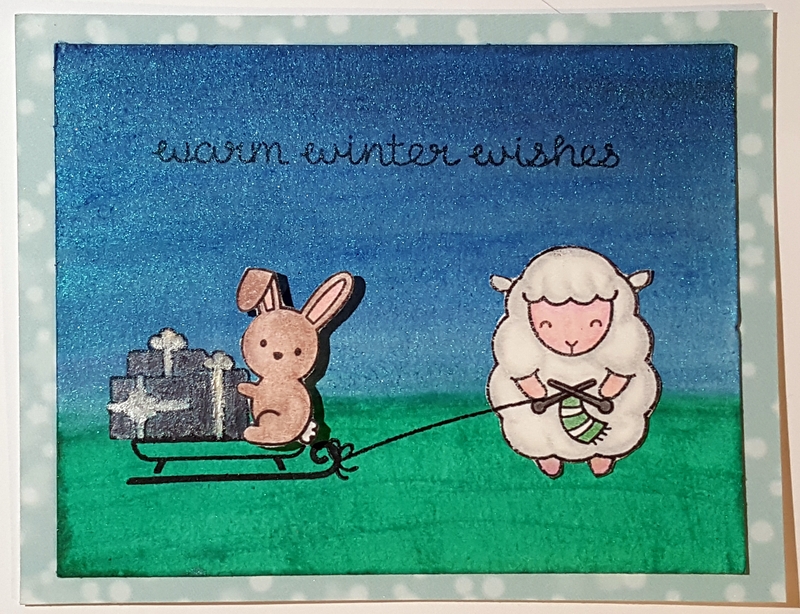 The dies and stamps I used to make this card were included in the Holiday Magic Stamp of Approval box by Catherine Pooler. These are curated boxes that are released every 3 months. They are $97.00 and contain products from smaller companies such as CAS-ual Fridays, Winne & Walter, and Neat & Tangled. The boxes only have stamps and dies, which I LOVE. I considered some of the other subscription boxes, but didn’t like some of the filler products. I love supporting small companies and exploring new products. These boxes sell out QUICK, so make sure to get on the notification list here. I paid for this box with my own money, but like I said, I like supporting small businesses and I wanted to spread the word! I used the snowflake stamps from the CAS-ual Fridays sets that were included in the box. 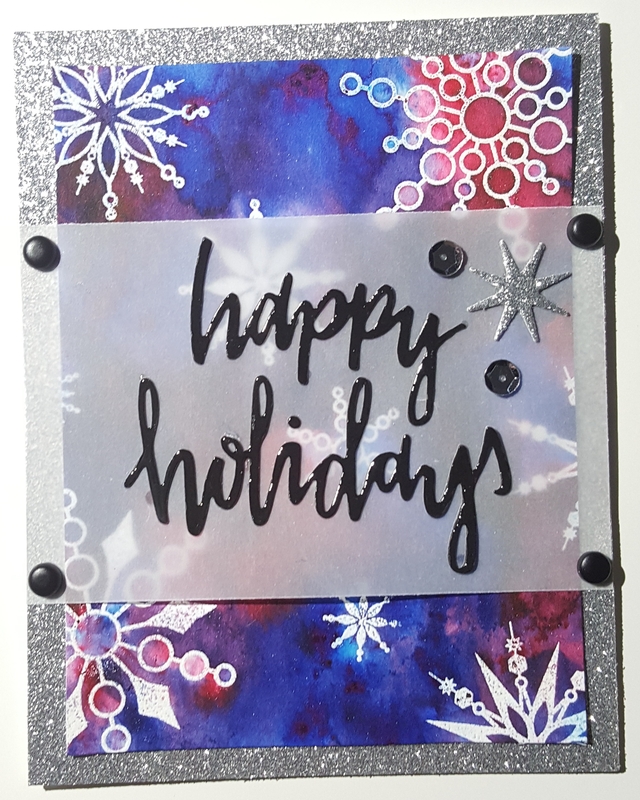 Placing them randomly and then inking with Versamark and embossing with embossing powder will allow you to create a resist when working with the Ken Oliver Color Bursts. I finally caved in and bought 3 Color Bursts and I’m in love with these! In fact, we’ll be carrying them in the store soon! I used Ultramarine Blue and Pthalo Green for the first card. 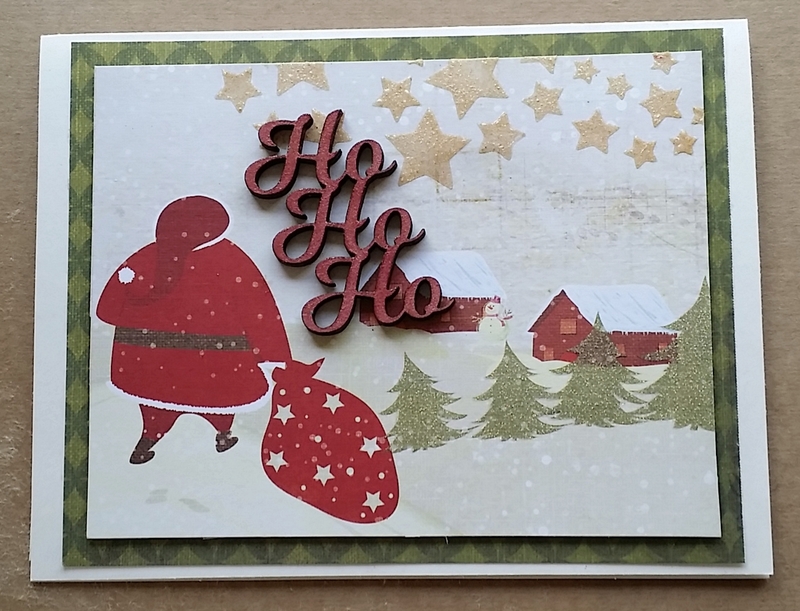 I cut out the “happy holidays” using a die by Neat & Tangled which you can purchase here. 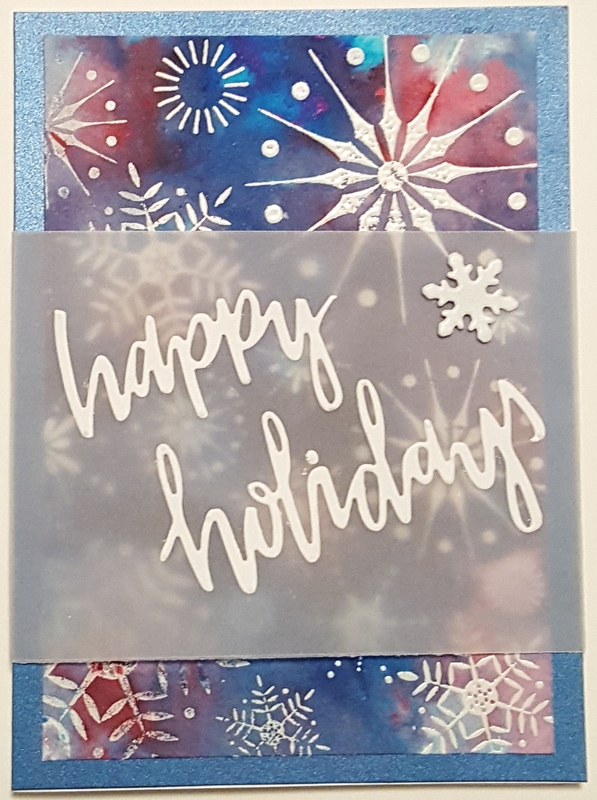 I added a die cut snowflake to tie in the shimmery background paper. Then glue all of that down to some vellum and secured it with some green brads to accent the green in the background. 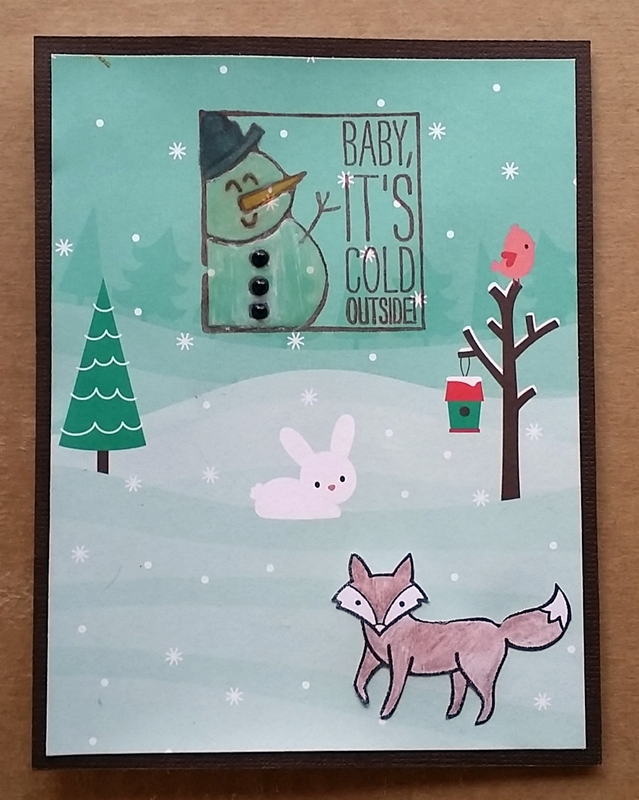 I made up this card design while I was crafting with my Mom and she played along with me. 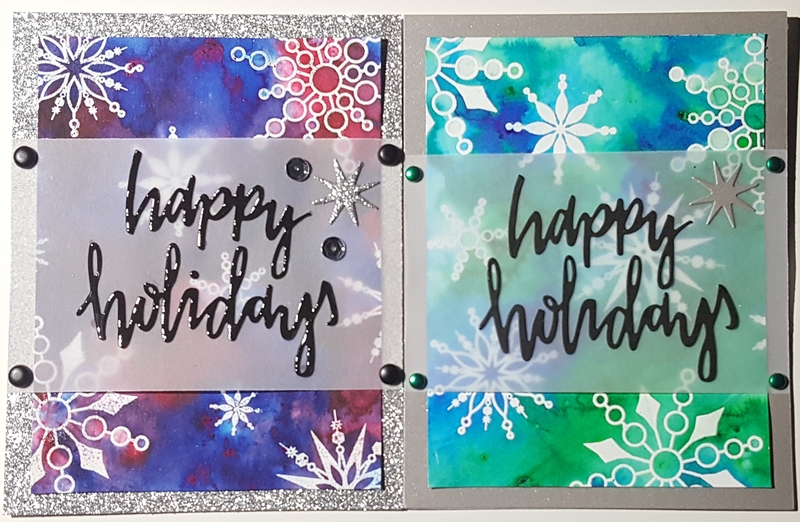 She used her own stamps and a paper punch along with the Color Bursts and the Happy Holidays Die. 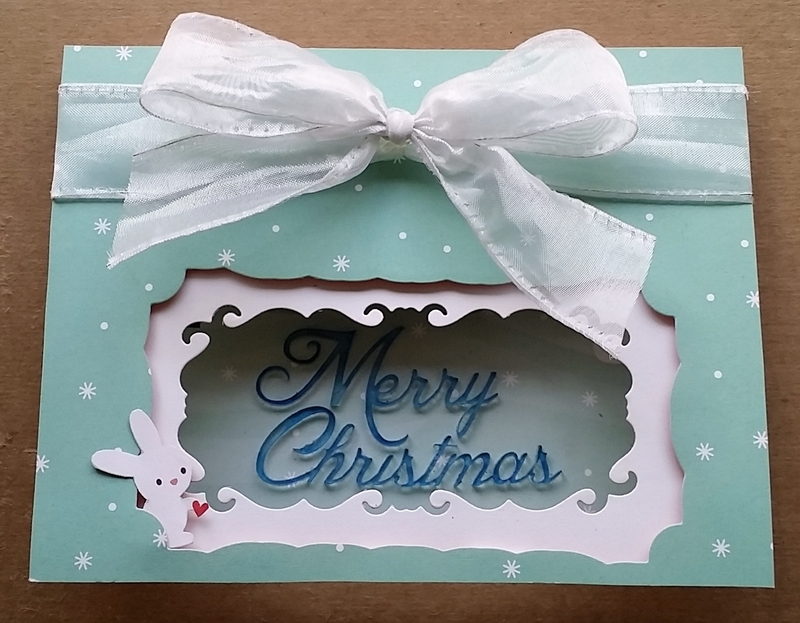 So, if you want to make this card and didn’t get the Stamp of Approval box, you certainly could! I love how her card came out and it’s always fun to make her move out of her normal style of card making and try new techniques she probably wouldn’t have on her own. It makes me laugh when she gets inky because she’s used to pretty clean crafting LOL. Below you will see my second rendition of this card: This time I decided to use the Alizarin Crimson and Ultramarine Blue Color Bursts. I also used black brads to match the color of the sentiment. 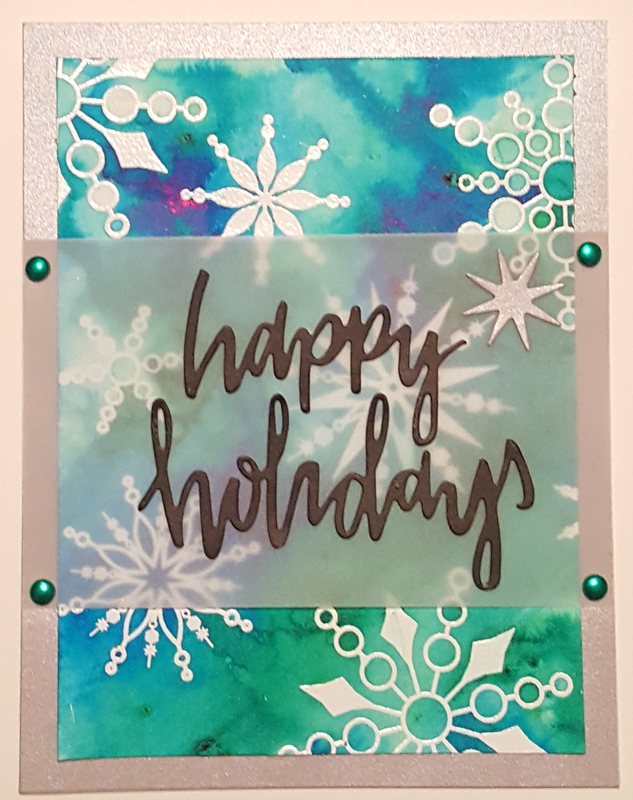 I threw on a couple sequins and used Glossy Accents all over the happy holidays die cut. That really made it pop! Since I added the Glossy Accents after I already adhered the die cut, it actually started to warp the vellum and I had to tuck a few glue dots in strategic places to get it to stay down a little better. I decided to use glitter cardstock this time instead of shimmer cardstock too. Here they are side by side. I LOVE how these came out and I’m proud of my design, which happens rarely! Do you like this design? Do you own Color Bursts? What do you think about the Stamp of Approval Box? I was hoping to have more time to write blog posts about these cards, but the time just flies! So, I am posting them to share with you and because I used my blog as a digital scrapbook of my creations that I will never see again! 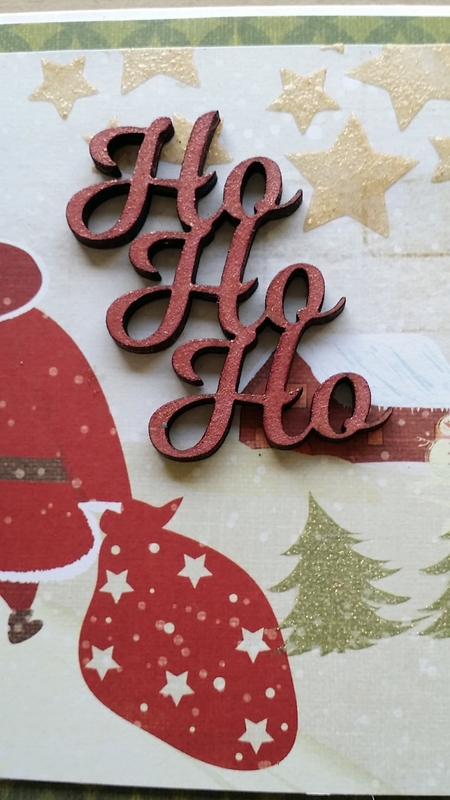 •The “HoHoHo” is one of my wood laser cuts that has been painted using Luster Mica Powders! 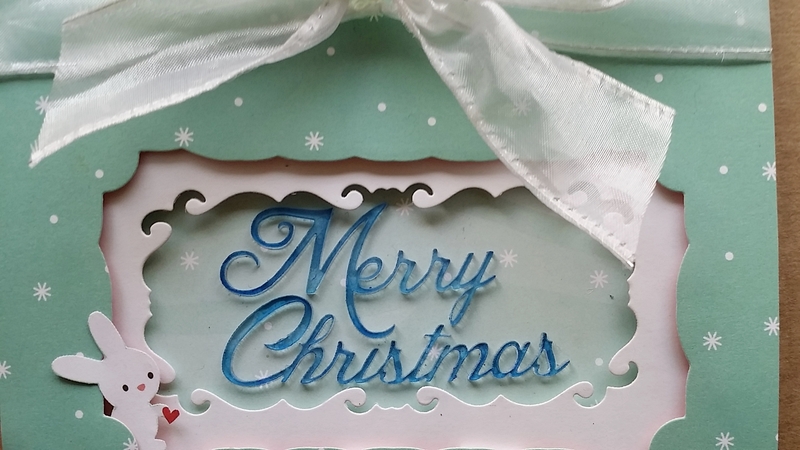 • The blue “Merry Christmas” is one of my acrylic laser cuts that was colored using alcohol inks. • The Gold stars that I shot a close up of were not part of the paper. 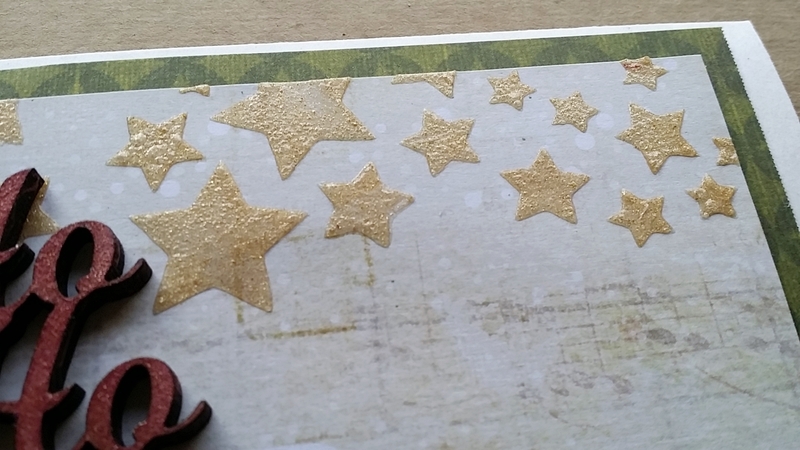 I used one of my trailing stars stencils and mixed Luster Mica Powder with gel medium. Here’s a little tip: ALWAYS Check the $1.00 stamps at Michael’s and Wal-Mart. I have found some major gems in there that would normally cost $4-5 otherwise. 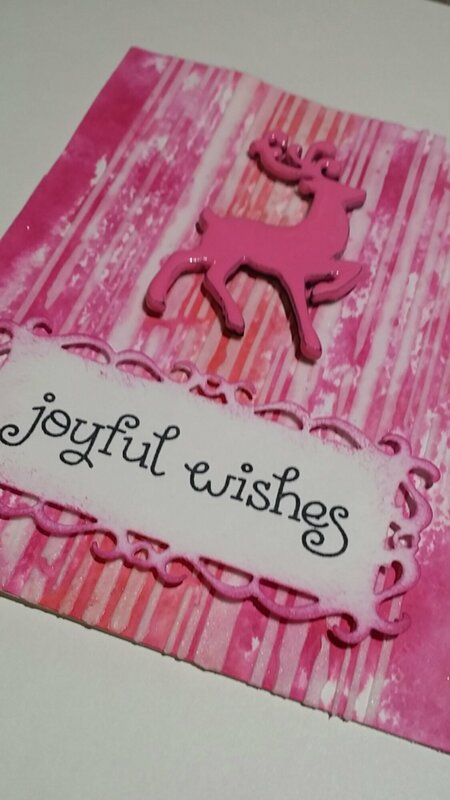 My thought for this fun Christmas card was to be unconventional and pink! Any of my nieces would love to get this card for Christmas! I started off with Tim Holtz Stripes layering stencil and used a palette knife to apply Prima Light Paste onto bare white cardstock. After drying it about half way, I applied worn lipstick and picked raspberry to a craft mat and spritzer with water. I kept the worn lipstick in the center. I did this twice since there was a lot of bare paper left the first time . Make sure to spritz it really good. 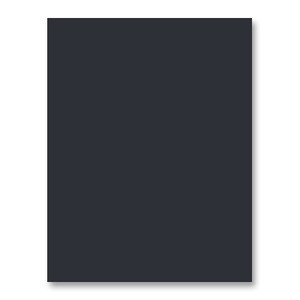 Then I die cut a piece of white cardstock with Spellbinders Resplendent Rectangles die set. The edges were sponged with picked raspberry. 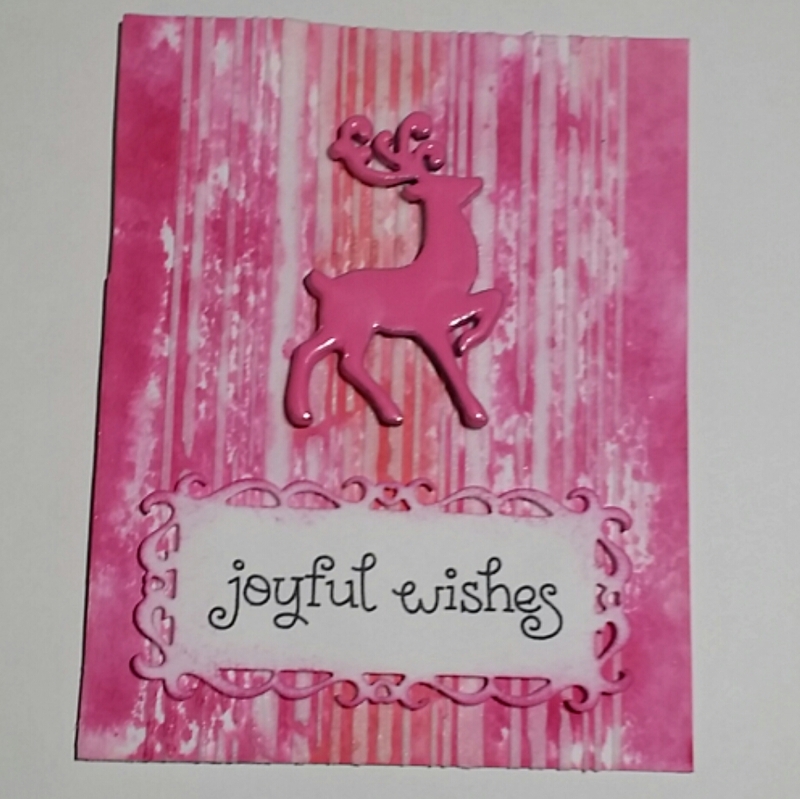 Then I stamped the sentiment from Lawn Fawn’s Into the Woods stamp set (which is on sale in our ebay store!). 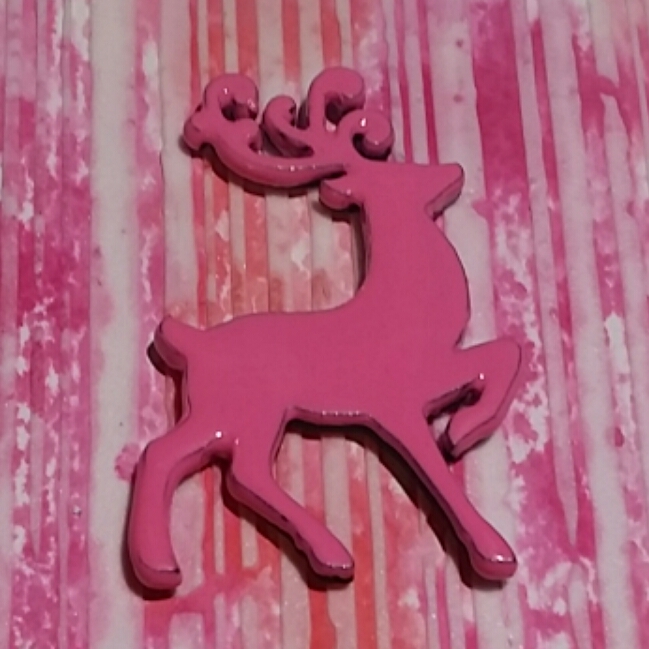 The reindeer that appears to be enamel is actually one of our laser cut wood pieces that has been dipped in a mixture of UTEE, embossing powder , and pigment . I used my melting pot for this. I had to clean up some edges using a Purple Cows hot tool. The reindeer come in a set of 4 in our ebay store. 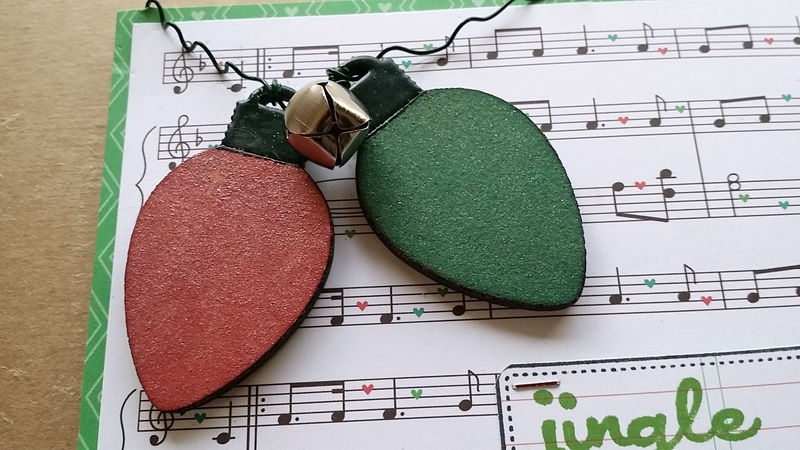 The reindeer was adhered with homemade glue dots and the sentiment was adhered with foam adhesive. The card is now finished! 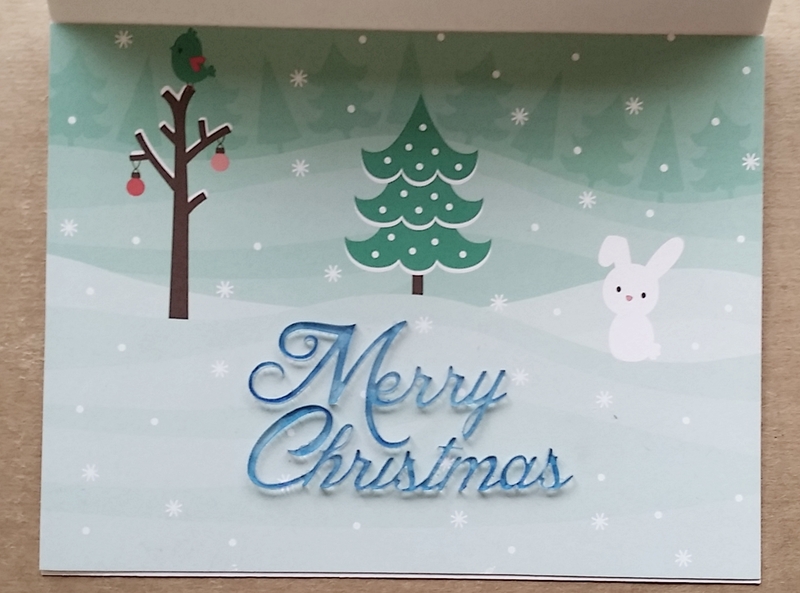 I hope you enjoyed seeing this Christmas card using unconventional Christmas colors!